Three researchers who “harnessed the power of evolution” to produce enzymes and antibodies that have led to a new best-selling drug and biofuels won the Nobel Prize in chemistry on Wednesday. Arnold is only the fifth woman to be awarded a Nobel Prize in chemistry since the prizes were first handed out in 1901. 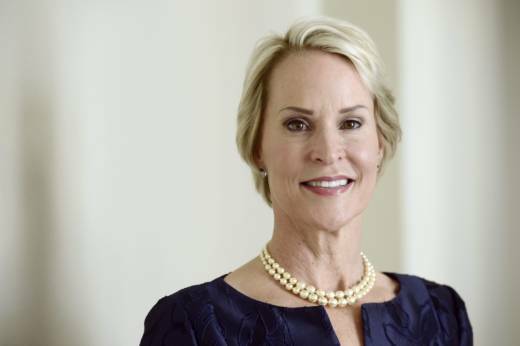 Hartings said the proteins that Arnold designed “do these really off-the-wall chemical things in record time.” He said her directed evolution approach has greatly helped chemists make enzymes do jobs that nature never intended, such as for industrial purposes. The first pharmaceutical based on Winter’s work was approved for use in 2002 and is employed to treat rheumatoid arthritis, psoriasis and inflammatory bowel diseases, the academy said. The chemical name of the drug is adalimumab, which has several trade named including Humira, one of the top-selling drugs in the world. “It’s a standard joke that someone with a Swedish accent calls and says ‘You won!’ But there was so much static on the line, I knew it wasn’t any of my friends,” he said. 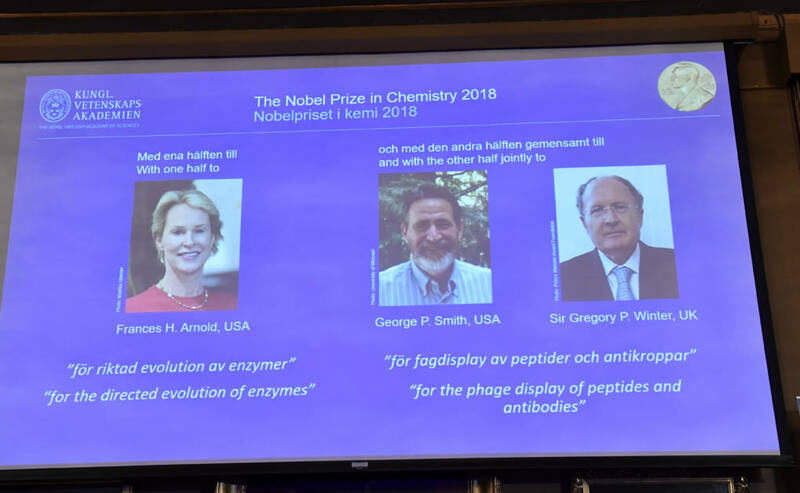 American Chemical Society president Peter Dorhout praised the Nobel winners, saying “the laureates have used chemistry to accelerate the evolution of natural biological molecules that act as the critical machinery for living organisms. “The breakthroughs from these researchers enable that to occur thousands of times faster than nature to improve medicines, fuels and other products,” he said. Enzymes “are what all we organisms use to make our chemicals. So if you can harness enzymes for your own purposes, this is often more environmentally friendly than using heavy metals or toxic substances to make your chemicals,” said Johan Aqvist, a member of the Nobel Committee for Chemistry. In other Nobel prizes this year, the medicine prize went Monday to James Allison of the University of Texas M.D. Anderson Cancer Center and Tasuku Honjo of Kyoto University, who learned how to release the brakes that cancer can put on the immune system, discoveries that helped cancer doctors fight many advanced-stage tumors and save an “untold” numbers of lives.